Everyone needs time to Exhale. A childhood in gymnastics, a B.S. in Nutrition and a heart to help people led me to massage therapy. I was (and still am) fascinated with the structure and abilities of the human body! When several close friends told me how massage helped them recover from car accidents, I learned that massage is helpful not only for relaxation, but helping people heal. I'd discovered a path I wanted to take. I attended Oregon School of Massage, completing the 555-hr Eastern Focus Massage Program in 2012. I completed courses in anatomy, kinesiology and pathology, learning the structure, movement and common dysfunctions of the body. I also studied techniques to assess and treat common issues affecting the muscle and fascia (layering around muscles). I decided to focus on Shiatsu, a Japanese form of body work. It is different from Swedish massage in that it is done over the clothes, requires no lotions or oils and follows the meridians described in Traditional Chinese Medicine to balance qi. Well, at the time I had no idea about the meridians or qi, I just knew it felt amazing! Today many of my patients prefer classical Swedish massage but love the incorporation of Shiatsu techniques. Whether you'd like a Shiatsu or Swedish massage, I'm here to help you relax, release pain and recover. I work in Tualatin, OR at True Health Medicine Monday through Thursday. In my massage program, I choose to focus on Shiatsu and completed my clinic hours with clients requesting Shiatsu massage. 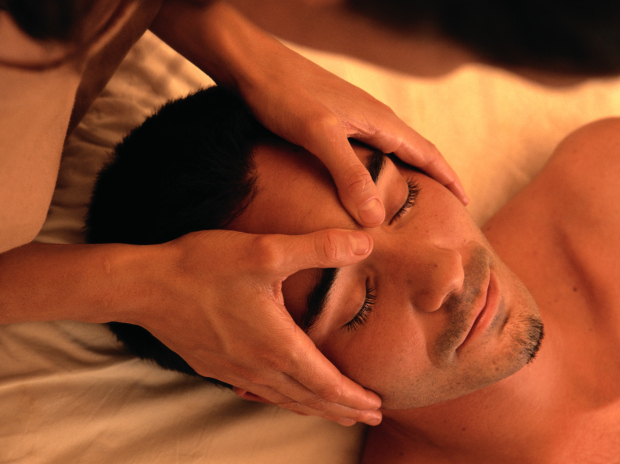 Shiatsu is a Japanese style of massage with roots in Traditional Chinese Medicine. "Shiatsu" means "finger pressure" and uses the techniques of compression, rocking, stretching and percussion. Sessions are performed over clothing. Most of my clients come to me requesting treatment of a specific issue. Trigger Point Therapy is a therapeutic technique I use daily to treat nagging soreness and tension. I completed extra course work in this technique and have enjoyed seeing its results for clients.